With Ireland boasting a former winner and runner-up on past occasions, interest here will be high as the Scania Driver Competition returns after a few years’ absence. 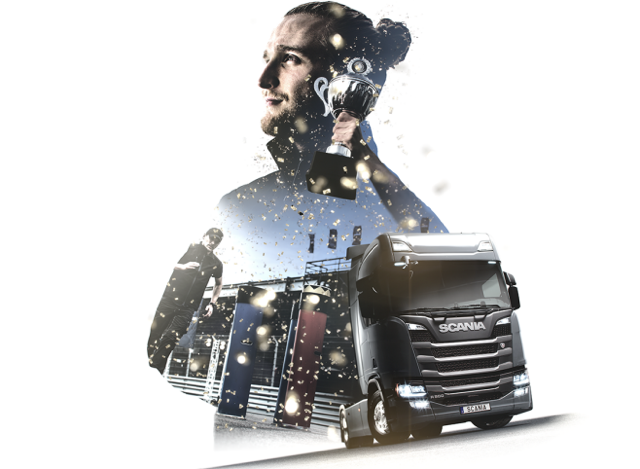 The prestigious and challenging competition welcomes truck drivers of all ages to compete and show their skills against fellow drivers in in the contest which takes place over the next 10 months or so. Starting in July with theory tests, the aim is to attract participants from more than 30 European countries in the battle for the grand prize – a new Scania truck of the winner’s choice. During this autumn and into spring, regional and national rounds of the practical tests will take place. “Scania strives to deliver sustainable transport solutions, and the focus on the driver is increasingly important,” said Erik Ljungberg, Senior Vice President & Head of Corporate Relations at Scania in Södertälje. This year, the previous age limit, which limited drivers up to 35 years old, has been removed. What is also new is that drivers now have the opportunity to qualify for the competitions through driver performance over time, as monitored by the Scania Fleet Management Services (FMS). Participants will be required to demonstrate their skills in defensive driving, fuel-efficient driving, check before driving, cargo securing, as well as fire and rescue. They also need to show their ability through various exercises, including the boardwalk, knock the king, reverse z/super z and the new water challenge. “These challenges will prove hard, even for a skilled driver. Scania rewards accuracy and good judgement above speed and the competitions are all about maintaining a consistently superior standard,” added Erik. The European final will be held in Södertälje on 25 May 2019 and judging by past events, it will be a spectacular affair.